Farley’s residency was the final of three visits to Broken Hill since 2015, towards his PhD project exploring post photography and the practice of ecological stewardship. 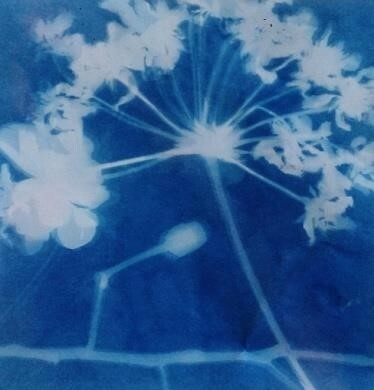 His practice incorporates all the elemental themes - 'Sun' and 'Water' are primary actors in the photographic process in 'Earth' and 'Air' are collaborators in the creation in each image. During his time in Broken Hill he explored and worked with the Outback Archives to further his research in and exhibited new work at the Broken Hill Regional Art Gallery. His exhibition ‘Slow Documents’ explored camera-less photography as a tool for ecological thinking. Using outdated and discarded photographic materials, the artist composes a set of conditions in which the subject, medium and environment are free to express their agency towards the creation of the image. 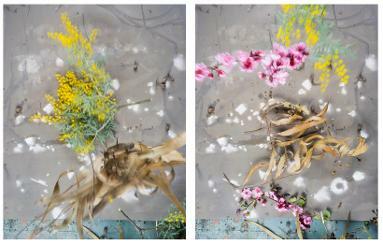 His photographs evoke the values of reciprocity to explore expanded notions of time, place and human/non-human agency. James Farley is an artist and research student, based in Wagga Wagga, NSW. His interests include landscape, ecology and exploring the complexities of environmental issues through photography. His research focuses on ecology, climate change and aesthetics within contemporary landscape photography. As Artist in Residence at the Broken Hill Art Exchange, James developed photographs exploring the complex relationship between society, industry and the environment. 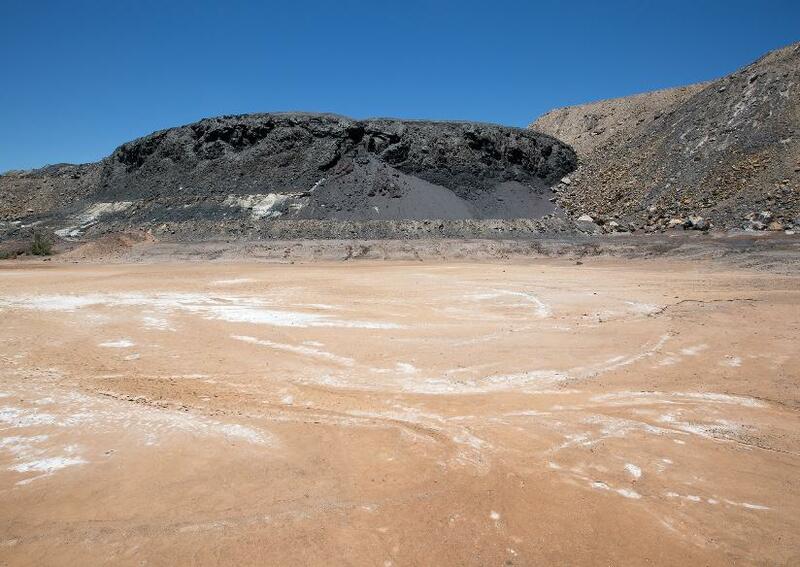 James commented that Broken Hill was an ideal place for this type of research for two reasons, its long and rich history of mineral mining, and also its geographical location in relation to Australia’s climate. 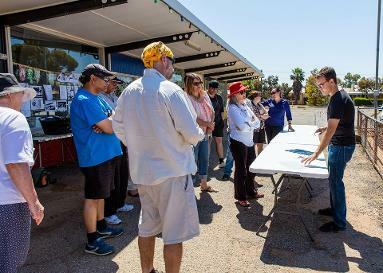 James also conducted community workshops leading up to the Solar Art Prize. In his workshop, ‘The Silver City Project’ – Lumen Photography the community made SUN PRINTS on paper and fabric (top right photos). 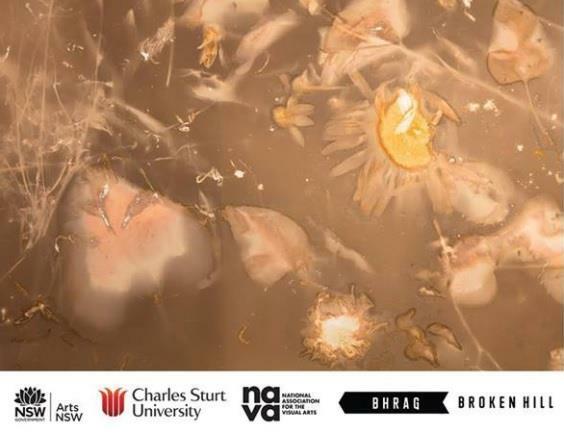 The results from the community workshop were exhibited at STUDIO 3 Gallery, Broken Hill Art Exchange. Through various photographic processes, James challenges the way we use and think about creative arts as a tool for revealing and discussing the complex issues surrounding the different relationships and values attributed to place and the environment. Recent reports suggest that the Australian climate will be one of the first and most severely affected by anthropogenic climate change. This means that station such as he dwindling water supply in Broken ill may become more common throughout isolated and semi-arid regions. Trying to understand how this situation is affecting the community in many different ways has been of particular interest to James and is project. PROJECT: The Silver City (Working Title) develops a substantial body of photographs as an extension of my practice based PhD, which explores new ways of understanding and representing the complex relationship between society, industry and the environment. "In February 2015, James Farley undertook a two-week residency at the Broken Hill Artist Exchange, located in the isolated town of Broken Hill in outback New South Wales. James was initially drawn to Broken Hill because of its long history of extractive and resource based industry, the impact of which had just seen the entire city added to the Australian National Heritage List. At the same time as this announcement, Broken Hill and the surrounding areas faced dire water shortages and an extreme summer heat wave. This raises questions about the longevity and functionality of maintaining a community in an environment not suited to sustain it. The city has never had a permanent water supply and the competition for allocations between mining, agriculture and city supply is fierce. Low annual rainfall and high temperatures had pushed the speculative supply to its limits, with the existing supply predicted to be completely exhausted by late 2015, unless additional water sources can be secured.